Winter weather is forecast tonight through Tuesday morning. Expect slow morning commutes. Please slow down. 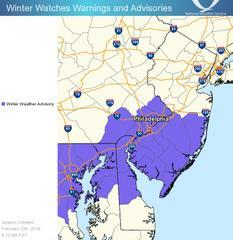 The National Weather Service has issued a winter weather advisory for our area. 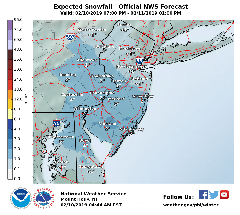 1-2" of snow is forecast overnight tonight into Monday morning followed by another round Monday evening into Tuesday morning that could bring another 1-3" snow before changing over to some ice and rain. Please make arrangements to park off street if possible to allow DPW to more quickly plow/salt throughout town. Keep pedestrians in mind by shoveling and treating your sidewalk. Based on the forecast, plan on extra time for Monday and Tuesday's commutes. Don't crowd the plows. Please slow down and arrive safely at your destination!